Fiamma F65 Eagle 400 Legless Awning with Deep Black Case (13'9") wide x 8'2" projection, 83 lbs. Fiamma F65 Eagle 400 Awning with Deep Black Case. 13'9" wide x 8'2" projection, 83 lbs. Please allow 2-4 weeks for delivery. Ships only by truck freight. 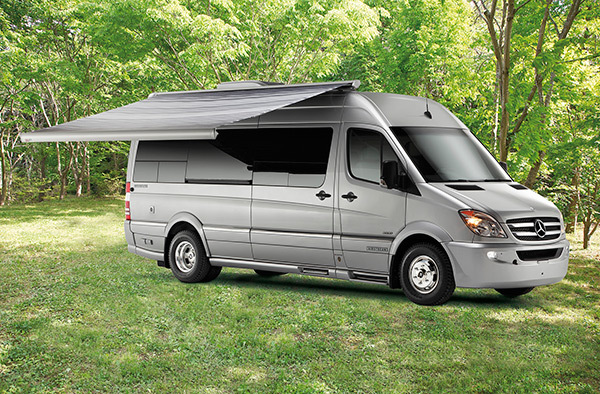 For 2007 - 2018 Sprinter 170" extended vans, and other Class C RV applications with flat roof. Brackets sold separately.